Packing Potential. Flatbed devices facilitate key packaging applications.. Wide format flatbed printers and cutters handle a variety of substrates. Diverse media capabilities are key to a thriving segment of digital printing—prototyping and short-run packaging. In fact, in its recent U.S. Printing, Publishing, and Packaging Market Size and Outlook report, InfoTrends suggests that packaging is not as susceptible to declining print volumes as other markets, and predicts continued growth in this segment for the near future. While roll-fed devices are well suited to flexible packaging and labels, rigid media requires flatbed printers and cutters. Box printing is a cornerstone of the packaging industry and the technology handles corrugated cardboard and fiberboard, foldable display boxes and cartons, pallet wraps, and drop bins. These capabilities allow print providers to penetrate the growing market. “Very little work is currently being printed with digital equipment in the corrugated and folding carton market. The market potential is significant,” observes Larry D’Amico, VP digital imaging, Agfa Graphics. For prototyping, flatbed printers and associated software provide consistency between proofs and production output, ensuring color matching and graphic alignment. “The real benefit here is that the flatbed printer can print directly on the surface of the board. This board can be the identical substrate that would be used on their flexo press for conventional production. A prototype produced this way will more truly represent the final product,” says Randy Paar, marketing manager, display graphics, Canon Solutions America. The efficiency of digital flatbed devices allows print providers to compete in the lower volume packaging segment. Short runs may be as many as 3,000 impressions, but are typically under a thousand, while prototyping jobs usually entail very few pieces. Wide format flatbed printing and cutting solutions combined with sophisticated packaging software enable efficient, cost-effective packaging in short runs. The technology opens up packaging to a variety of users, including traditional and digital print providers, converters, brand owners, and design agencies. “Innovative print houses see this as an opportunity to offer their end customers and brands complete campaign materials, including corrugated applications and posters. With digital printing, they become a ‘one-stop shop,’” observes Oriol Gasch, large format printing, AMS category director, Hewlett-Packard (HP). While sheet plants and packaging converters were somewhat slow to adopt digital technology, now it’s an opportunity to differentiate themselves from competitors. Firms already operating traditional printing methods can shift shorter runs to digital, eliminating makeready costs. Digital shops adopting flatbed technology for the first time ensure return on investment with devices that handle existing output in addition to packaging and other new applications. Jay Roberts, product manager, UV printing, Roland DGA, suggests that output types are limited only by the user’s imagination. “While investing in a flatbed UV printer is a big step, doing so can be very profitable by opening doors to many new markets and applications,” he says. 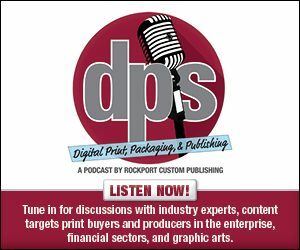 Speed isn’t necessarily a key factor for prototyping, but for short-run packaging, printers must be able to keep pace, observes Heather Roden, associate product marketing manager, FUJIFILM North America Corporation, Graphic Systems Division. “The ability of the flatbed presses to transition from prototype to production runs makes them more desirable,” she explains. Function and fashion combine in packaging. Output must protect the product and also reach the consumer through messaging. Many flatbed devices are uniquely suited to these goals, handling durable media while offering specialty inks, varnishes, or barcode capability. Targeted software helps print providers transition to packaging, positioning graphics for precision cutting and managing color consistency. In addition to technological improvements, other factors drive digital packaging growth, particularly the demand for shorter lead times. Variable data and targeted marketing are also growing trends, fueled by the popularity of customized packaging and facilitated by ecommerce. “To improve their profit and loss and differentiate themselves from competitors, brand owners and print buyers are demanding more targeted applications with very short time to market,” explains Guy Cipresso, VP sales & business development, Novus Imaging. “With an increase in just-in-time and on demand production as well as in custom and one-off order volumes, the demand for digital wide format flatbed printers in combination with digital cutters will no doubt keep growing accordingly,” predicts Beatrice Drury, director of marketing and communications, Zünd America, Inc.
Customers want packaging that reflects branding, tied in with in-store messaging and point of purchase (POP) displays. Brent Moncrief, VP, sales and marketing, Durst Image Technology US, says this represents an opportunity for progressive print providers that can deliver a cross-functional solution that ensures consistent, high-quality results across a range of substrates and applications. Marketers and brand owners often require one-off prototypes before approving a production run. In addition, multiple mockups may be necessary for the client to decide on the design. “As most marketing and sales representatives know, the best way to exhibit new and creative ideas is by presenting a customer with tangible samples or prototypes. This takes out all the guess work, false assumptions, and miscommunications while also ensuring confidence in both the customer and print provider before sending projects into expensive production runs,” explains Lara Waden, sales administrator, Colex. Vendors note that flatbed printers and cutters serve many applications in addition to packaging. Adding prototyping services enables print providers to leverage existing equipment and expand services to access new profit sources. The market demands fast turnaround. With a flatbed system, “it takes minutes to create a prototype and it can be changed easily without going through a long and costly production process of offset printing and/or mechanical die-cutting,” suggests Roberto Rodriguez, president, Digital Graphic Systems (DGS). In addition to speed, direct printing ensures accuracy. Software helps provide the precise color management needed for prototypes and samples. “Printing directly to the sheet or box eliminates any cut-and-paste scenarios traditionally needed to produce prototypes for customers,” says Mark Swanzy, COO, Xanté Corporation. The combination of speed and ease of use allows print providers to bring more jobs in house. In some cases, design agencies and brand owners can also handle their own prototyping, says Ken VanHorn, director, marketing and business development, Mimaki USA, Inc.
“Using tools with which they’re already familiar, designers can implement a complete prototype solution that gives them the flexibility and cost efficiencies to go from design to final mockup,” he observes. “The added investment to turn a flatbed cutter into a packaging prototyping system is pretty small. A 3D software add-on is all that is necessary to get started with packaging prototypes and short-run packaging,” notes Steve Aranoff, VP sales and marketing, MCT Digital. Automated cutting systems also facilitate digital packaging. “With minimal investment—the cost of a skilled worker—print shops can fully automate the print-to-cut workflow by adding a digital finishing cutting system,” points out Shawn Kirsch, router and digital finishing product manager, MultiCam. Neil Zdunkawicz, director, marketing and technical services, Graphtec America, says flatbed cutters are ideal for packaging because they excel with heavy, thick, or inflexible media. In addition, he says models vary by size and feature sets to target the budgets of both smaller design teams and larger companies engaged in higher-volume packaging production. Flatbed cutters are also versatile, often offering support for hybrid or roll-based output with different feeding options. “If a print provider prints both rolls and sheets, they will want a finishing table to have the cutting capabilities for both, rather than saying no to certain jobs. Generally, flatbed finishing tables can be attached with a roll-based feeding capability. In this case, everything can be cut,” explains Paul White, i-cut digital finishing specialist, Esko. A variety of wide format flatbed equipment are well suited for packaging applications, including both printers and cutters. Here we highlight some of the products available for packaging. Agfa offers multiple models of its UV hybrid printers, including the Anapurna and Jeti, suitable for applications that require rigid media, as well as flexible packaging. The devices are ideal for small runs and prototypes under 500 pieces. Canon Solutions America’s Océ Arizona series of UV flatbed printers support board sizes up to 8×10 feet. The devices are available in a range of speeds and offer features like white ink and varnish. Canon also provides an end-to-end solution featuring a Pantone-certified ONYX Thrive RIP, nesting software, and a digital cutter for creasing and cutting. Colex offers the Sharpcut flatbed cutter, which cuts or routes a range of substrates from aluminum to paper. It features a variety of tools—including several types of drag knives—each tailored for certain media such as corrugated plastic, PVC vinyl, or cardstock. Other tools include an oscillating knife, a router, a V-Cut knife, and a creasing wheel. DGS offers a complete design-print-cut system that includes a Teckwin flatbed UV printer, a DYSS V-PRO digital table cutter, and KaseMake software for packaging and POP display design. It targets folding carton, corrugated, and honeycomb board packaging for runs fewer than 500. Durst’s flatbed printers are available with optional roll-feeding systems that allow quick reconfiguration for using flexible roll media. It offers two distinct platforms, the P10 250/250HS and the Rho 1000/1300. Moncrief notes they handle sheets as small as 12×17 inches as well as wide format. This, in addition to the media versatility, makes the devices ideal for print-to-kit applications like packaging and POP. Esko offers a range of wide format Kongsberg cutting tables, including several suitable for packaging and sign and display. The Kongsberg V, XP Auto, and XN handle a diverse selection of media. The V offers durability and precision at an attractive investment level. The XP Auto is a fully automated die-less finishing machine for packaging and POP displays. The Kongsberg XN model handles versatile media from vinyl to wood and features a range of specialty tools, including routing. Esko also offers the XE, a smaller-format Kongsberg for sample making and short-run production of folding cartons. Fujifilm’s Acuity series targets prototype and short-run packaging. The line includes the Acuity LED 1600, Acuity Select, Acuity Select HS, and Acuity F. All are configurable with optional white ink. The LED 1600 model comes standard with white. Graphtec America offers six flatbed cutters with cutting areas from 17×23 to 36×68.5 inches. Its flatbed cutters are available with electrostatic, vacuum, and adhesive hold-down systems and with single- or dual-tool capabilities. HP’s Scitex line includes the 15500 Corrugated Press, the FB750, and the FB550 industrial printers. HP designed them to maximize uptime and reliability in 24/7 production environments. These devices offer integrated automation, advanced media handling optimized for corrugated sheets, and high print quality. They allow users to run proofs and short runs on the same press. MCT Digital’s VersaTech flatbed finisher offers both laser and traditional blade cutting. Knife and routing capabilities are available on a single cutting solution with full automation. According to the company, it handles any kind of packaging media and may include auto feeders and offloaders to handle higher throughput needs. VersaTech also comes with packaging, carton, and POP design software developed by Arden Software. MCT teamed up with CREST Machinery of Holland to offer the Roll Sheet Cutter, a heavy-duty device that cuts rectangular graphics. The Roll Sheet Cutter handles heavy rolls efficiently using either steel or hot knives that work automatically. The cutter handles a full range of non-rigid packaging applications. Mimaki’s offerings include the UJF-6042HG, a tabletop flatbed printer. It handles a variety of substrates—including plastics, metal, wood, leather, and glass—and materials up to 24×16.5 inches and six inches thick. Three types of UV-cure inks are usable, and white and clear inks are available. An imprinting function supports variable data. The Kebab option enables printing on cylindrical objects such as bottles. The company introduced the CFL-605RT, a 20×24-inch multifunction cutter that handles materials up to ten millimeters thick, and includes a creasing roller for immediate finishing. For packaging, Mimaki recommends using the two devices together, along with Esko’s ArtiosCAD design software. For in-plant production, Mimaki suggests the JFX200-2513 flatbed printer, which prints on various packaging materials including corrugated and paperboard. It also prints on multiple pre-cut box pieces—up to nearly two inches thick—to create customized or personalized packages. With a 4×8-foot landscape-oriented format, it fits in a graphic or design studio environment. White and clear inks are available. MultiCam’s digital cutting system enables full automation of the print-to-cut workflow. It targets short to medium production runs as well as prototypes, ensuring speed and quality. Novus’ Pictora is a 24×36-inch high-speed production printer with a one-off station for quick-turnaround samples, priority jobs, and special materials. The flatbed runs rigid substrates up to two inches thick. The one-off station handles media up to 30×36 inches. It features up to seven ink channels to accommodate white, varnish, and spot colors. Roland DGA’s new VersaUV LEJ-640FT flatbed UV printer offers six inches of printing clearance. This allows for a range of substrates, and for printing directly on packages that are already assembled. The device features white and clear inks, enabling graphics on more packaging types and providing special effects. Roland also offers a hybrid UV-LED printer, the VersaUV LEJ-640, which handles corrugated jobs as well as flexible media. Xanté offers the Excelagraphix 4200 for companies that want to supplement flexographic presses with a fast digital device for smaller runs. It utilizes Memjet’s Waterfall technology, employing a stationary printhead bar system that enables single-pass, full-color prints—up to 416 corrugated flat sheets of 42×24 inches per hour. Zünd has two series of digital cutting systems, G3 and S3, ranging in size from 52×31 inches 10×10 feet. All of its models accommodate the cutting and creasing tools as well as the material handling options required for most packaging applications. The G3 series can also be configured with extended beam clearance, enabling cuts such as four-inch thick packaging foam. The devices are powered by Zünd Cut Center, software that is compatible with any digital workflow. It offers design, layout, and production features for easy and efficient use.